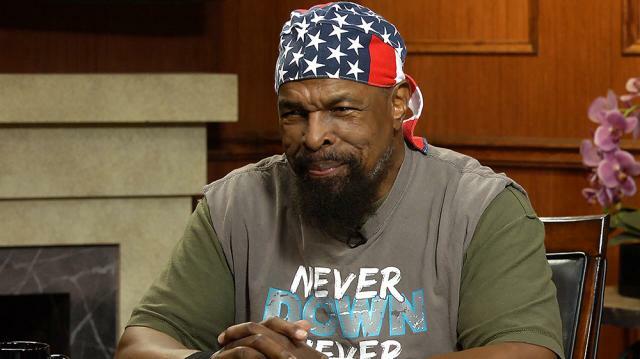 Actor and American pop culture icon Mr. T talks the legacy of his 80's classic 'The A-Team,' and whether or not he'd like to see a TV reprisal of the acclaimed show. Larry King: Are you still best known for The A-Team? thing, you know. I love both of them. Mr. T: We were, as I call it, The A-Team – there’s no I in team but there’s a T in team. worked well together for 4-5 years that was good. Larry King: He was a good guy. grandfather of the show – he knew everything. Larry King: Why was that show a hit? we never killed anybody and I was glad about that. Larry King: Could they ever bring that back for a reprise? Mr. T: No, it wouldn’t work. You can’t duplicate a Rembrandt or a Picasso. on demand on Ora TV and HULU.